Travelling with your pet? Here’s what you need to know. Home » Travelling with your pet? Here’s what you need to know. After several weeks of seemingly relentless snowstorms and frigid temperatures, it’s high time for vacation. As pets are becoming more and more a part of the family, it’s only natural to want to bring them along on family getaways. 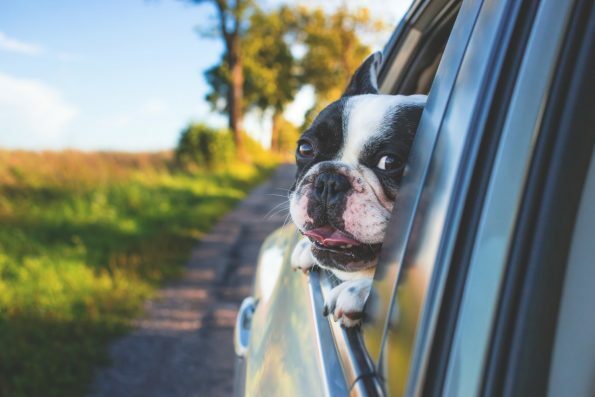 While travelling with pets is becoming more popular, there are some important things to take into consideration before travelling. Travelling to some destinations, such as the United States, require fairly little in terms of documentation – a certificate signed by a veterinarian indicating the pet’s rabies vaccination is up to date is sufficient. Other destinations, however, require more paperwork. For example, EU countries require a rather extensive document to be completed by the family veterinarian and then signed by a veterinarian from the Canadian Food Inspection Agency. You can see the form here. These countries also require that your pet is microchipped. Rabies vaccines given prior to microchip implant will not be recognized, therefore additional rabies vaccination will be needed if the vaccine was given prior to your pet’s microchip implantation. Considering the fact that these countries require at least 21 days to pass after the rabies vaccine is administered, a great deal of advanced planning may be needed. Some countries also ask for rabies titers to be completed – which can be a time consuming and costly process. Keep in mind that some countries, including Australia, require a quarantine period when your pet arrives. This can make short-term travel to these destinations practically unfeasible. If your pet likes long car rides or is okay with confinement and loud noises, you may have nothing to worry about. However, advanced planning is important for anxious pets. Pets that are too anxious during travel are more likely to vocalize, have accidents, vomit, or have more serious problems like heat stroke or respiratory distress when travelling. It’s best to prepare your pet for the experience of experience travelling. Practice travelling with your pet in a confined space and gauge their reaction. If your pet experiences motion sickness or anxiety related to travel, noise, or confinement, it is wise to speak to your veterinarian about medications to alleviate these problems. Any pet that does require sedative medications to travel should be administered the medications in advance for a ‘trial-run’. Every pet metabolizes medications a little differently and what works for one pet may not work for another. A little trial and error can help to find the best medication(s) to keep your pet calm and happy throughout the travel experience. It’s important to keep in mind your pet is going to be in a new environment, which may have more parasites than at home. Getting medications for you pet while abroad can be challenging, so it is best to be prepared by bringing the appropriate medications along. Talk to your veterinarian about medications to prevent fleas, ticks, heartworm, and intestinal parasites. Some medications will need to be administered both before and after travelling to ensure they are effective. If your pet experiences a medical emergency while abroad, the last thing you will want to do is waste time locating help. Take some time to research veterinarians before travel and be sure you have found a suitable option for emergency veterinary care. It is also wise to familiarize yourself with pet stores and boarding facilities in the area. Not all hotels allow pets. Those that do may charge additional fees for pets. Plan out where you will be staying and phone in advance to ensure you won’t run into any nasty surprises. With proper preparation, travelling with your pet can be a relatively smooth and simple process. While there may be a lot of planning and logistics involved, the end result of enjoying vacation with your pet makes it worth the while! Click here to make an appointment or give us a call at 905-257-7777. 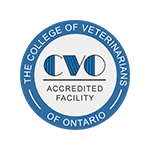 We are a proud member of The College of Veterinarians of Ontario. 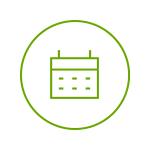 Providing you information to assist in your pet’s healthcare needs.